Consultancy, Corporate Training and HR Services Unit successfully conducted the 02nd Batch of Supervisory Development Programme facilitated by Mr. Senaka Muhandiramge with the participation of 13 private and public organizations. 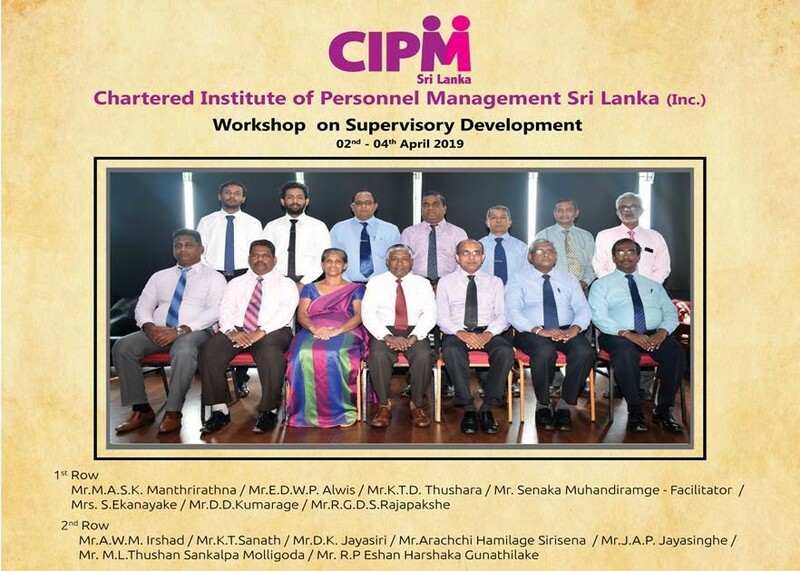 The Programme was held from 02nd to 04th April 2019 (03 consecutive days) at Chartered Institute of Personnel Management (Inc.)Sri Lanka. The main objective of the Programme was to motivate supervisors for organizational success. We received many positive feedbacks from all participants and their interest in CIPM Future programmes were highly showcased. Also, we have distributed the prospectors and Training calendar among participants.